There's plenty of news, events and a even new photo to keep you up to date with all things Kate. However, firstly I would like to wish you all a very Happy Halloween. Dressing up as Kate is proving very popular this Halloween, for a look at some costume ideas check out this post. 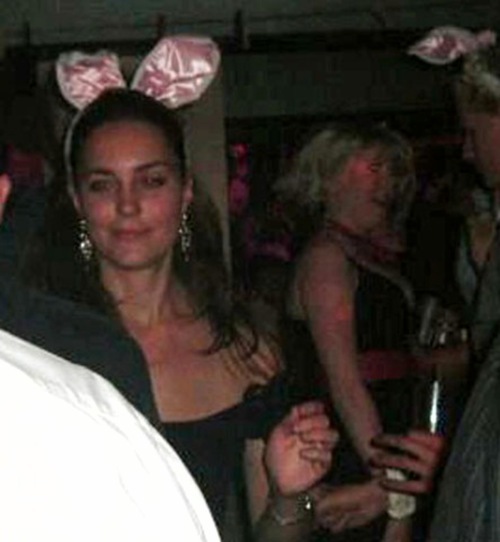 I have received a couple of emails from readers of the blog who dressed up as Duchess Kate for Halloween. I will include them all in a post tonight if I have enough. So, Did you dress up as William or Kate for Halloween? If you would like a photo of you or one of your costume included, Please email the photo with information on how you would like to be credited to hrhcatherineblog@hotmail.com. In keeping with the spirit of Halloween, Duchess Kate has had some memorable looks over the years at fancy dress parties. William and Kate share a tender moment as Pocahontas and Wild Bill. Wonderful news for William and Kate, should their first born be a girl. Female members of the royal family are to be given equality with men in the rules of succession. If their first born is a girl she will take precedence over any younger brothers in the order of succession. Also laws banning royals from acceding to the throne if they are married to a Roman Catholic will be abolished. I'm delighted to hear this, It is an important move forward for the monarchy. "There has been a vast, vast amount of cards and letters. It was just lovely. They are all supportive messages. There's a team working on it and everyone who wrote in got a response". The wonderful news comes just days after the couple celebrated their six month anniversary. (Has it been six months already?) I thoroughly enjoyed looking through these images compiled by popsugar celebrating the couples first six months of wedded bliss! May I just add how much I adore this photo of them at a polo match in Santa Barbara. We have seen more of Kate in terms of royal engagements this month than expected. For November there are three events coming up. On Wednesday, November 2 the couple will travel to Copenhagen to make a special visit to UNICEF's global supply centre. On November 10, the couple will attend a special dinner at St. James' Palace for the National Memorial Arboretum appeal. I also expect the Duchess will attend a service for Remembrance Sunday on November 13 which is the anniversary of the end of the hostilities during World War I. 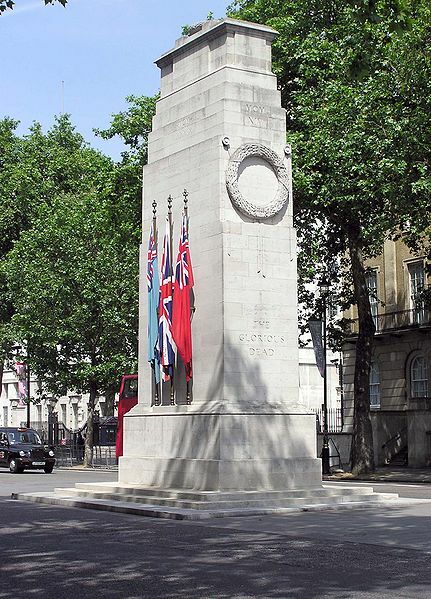 The national ceremony is held in London at the Cenotaph on Whitehall. Traditionally wreathes are laid by members of the royal family including, The Queen, Prince Philip, Prince Charles and Prince William. Other members of the royal family watch from the balcony of the foreign office. Kate will almost certainly wear black for this occasion. The Duchess was spotted out and about last friday in Mayfair with a minder carrying a costa coffee. (Kate loves her coffee :)) The man who saw her said she was casually dressed and a natural beauty. It's good to hear she has a somewhat normal life outside of being the Duchess of Cambridge. Candid photos very rarely surface which shows a degree of respect from the press. I received a request from a reader looking for some information on Kate's make up. (If any of you have any requests please let me know and I'll do my best to find what you're looking for). As you all know Kate did her own make up for the royal wedding. Kate reportedly wore the Get in Line eyeshadow and stencil kit. This smoky eyeshadow and stencil kit is a huge hit with celebrities and the websites number one selling product. "A revolutionary beauty tool that creates perfect eyeliner, smoky eyes and cat eyes with ease. The only eyeliner stencil that fits any eye shape. The get in line kit is available in a light base shade for light to medium skin tones, and a darker base shade for medium to darker tones". "This award winning liner gives you the look of liquid liner with the ease and feel of a gel formula. Long wearing, water - resistant color glides on and let's you get it just right before it dries". 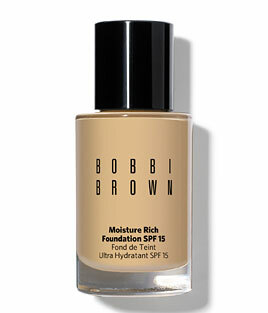 Duchess Kate also chooses Bobbi Brown for her foundation which always looks flawless. According to several reliable sources Kate likes the Moisture Rich Foundation with SPF 15. "Bobbi's popular moisturizing formula provides SPF 15 sun protection while it hydrates skin and delivers a soft, beautiful finish. The formula is buildable, allowing medium to full coverage as desired". To complete the look a bronze blush and pink lipstick is very Kate. I've noticed Kate always wears strong eye make up and keeps the lip make up light. This youtube tutorial is very informative in terms of application. As you all know the key to achieving flawless make up is often in the preparation. A good moisturiser really stands to you. Kate was spotted in her local Boots purchasing moisturisers by Nivea. I think Kate does her make up beautifully and knows exactly what suits her. Love, love, love this post! The picture of Wills & Kate in Santa Barbara is also one of my very faves. Adore how affectionate they are toward each other. And the makeup! *LE SIGH* Bobbi Brown has such a wonderful line of products--and gel liner! I knew it! Any readers who would like to try gel liner, before they purchase the duchess's preferred brand, try Wet n' Wild's. It's beautiful, smooth, dries to perfection, and even comes with its own nifty little brush. Thanks so much for keeping us up to date! Thank you so much Alyssia, anyone trying to emulate Kate's make up choices will fid it extremely helpful. Hello! I'm amazed, you attended my request so fast! That's why you have so many readers! You really deserve it! Thank you! Here, in Brazil, people are suspicious about Kate's eyeliner. Everyone seems to think that her eyeliner is actually a tatoo (I don't know the exact word in english, sorry). You're very welcome Ana. B. I love requests because more than likely other readers were wondering the same. Thank you for your lovely comment. With me personally I hate leaving the house without lipstick and I think Kate feels the same about her eye liner. She keeps her make up minimal otherwise.